B-Tec - BC Marketing, Inc.
B-TEC GmbH was founded in 2000 by Hans-Joachim Bodrich and Michael Bellroth. Both have more than 25 years of technical equipment expertise in the European markets. B-TEC USA, LLC was formed in 2012 with the purchases of assets and patents from the North American importer. 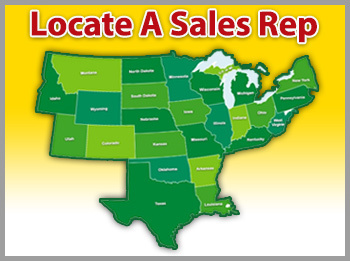 B-TEC USA, LLC has warehouses in Kentucky and Arizona. Jim Stubert heads up U.S. operations with over 40 years in the automotive aftermarket industry. B-TEC Systems’ goal is to utilize the highest quality components in stainless steel and brass to ensure a leadership role in their product categories. B-TEC Systems distributes standard and customized spray gun cleaning equipment for OEM, collision repair, woodworking, and industrial applications. All B-TEC Systems models can be used for either solvent or waterborne/waterbase coatings and are the only spray gun washers approved by both SATA and IWATA. B-TEC Systems also produces unique stainless steel work tables and organizers, patented automatic lifts, enhanced paint stands, and specialty solutions and compounds for waterborne and waterbase coatings including our patented AquaMax 1+3 Automatic Cleaning Solution, new AquaMax LITE Manual Cleaning Solution, and CM-900 Coagulation Compound. A new range of short wave infrared curing equipment is now available. The range has a model for all applications, from a small 500 watt unit used for minor repairs to a 6000 watt unit for multi-panel work. Auto manufacturers including Porsche, Dailmer-Mercedes-Chrysler, BMW, Toyota, Audi and Volkswagen and other large manufacturers such as Airbus, Lufthansa, and Siemens trust B-TEC Systems products. Today, B-TEC Systems products are sold in 24 countries. AquaMax family of products are proudly made in the USA. Our patented formula is designed to thoroughly clean all waterborne/waterbase coatings with no need for multi-step cleaning procedures. Reduce your cleaning effort and protect your equipment. AquaMax 1+3 is a cleaner/detergent for ALL water-based/waterborne coatings. It is a blend of water soluble solvents and additives designed for automatic spray gun cleaning, but can be used for quick, effective manual cleaning. It quickly dissolves dried waterborne/waterbase coatings and both cleans and protects spray equipment. AquaMax 1+3 is in a concentrated form and MUST be mixed with tap water. The mixing ratio is one part (one gallon) concentrate to three or four (3-4) parts (three to four gallons) tap water. AquaMax 1+3, when mixed properly, is very Ph stable and will produce no foam. It is easily coagulated and re-usable. 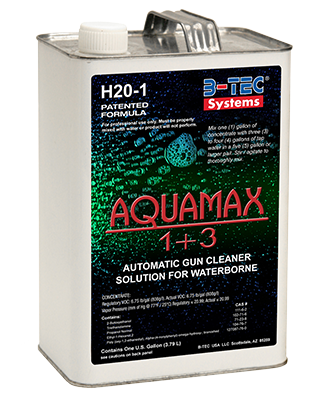 AquaMax 1+3 protects spray equipment and is the ONLY recommended cleaning solution for B-TEC Systems automatic washers. B-TEC Systems offers a complete range of automatic and manual spray gun cleaning equipment designed for water and/or solvent, including the only customizable spray gun washer in the industry (SUMO). 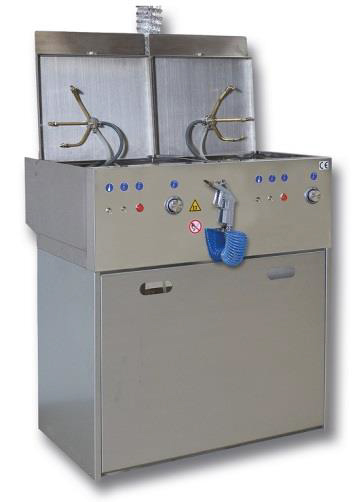 Our high quality, stainless steel units are ergonomically designed to accommodate one or more painters, and combo units are available for high production shops that allow for automatic and manual cleaning at the same time. B-TEC Systems offers unique features that are fully adjustable and all units are covered by a 3-year full warranty. Our automatic spray gun equipment is also approved by SATA and Anest IWATA. The only customizable modular spray gun cleaning system with two cleaning chambers. Select the features you really need. The B-TEC Systems short wave infrared paint dryers are specially made for curing automotive refinish coatings. Its energy penetrates deep into the coating, ensuring not only a short baking time, but also producing excellent through curing of the coating. Each bake cycle only costs a few cents, making it highly efficient. These units are built to last and the design offers the user great flexibility to deal with all the various shapes and contours of the motor vehicle.